Alfred is a very powerful productivity app for Mac users which can greatly boost your efficiency. 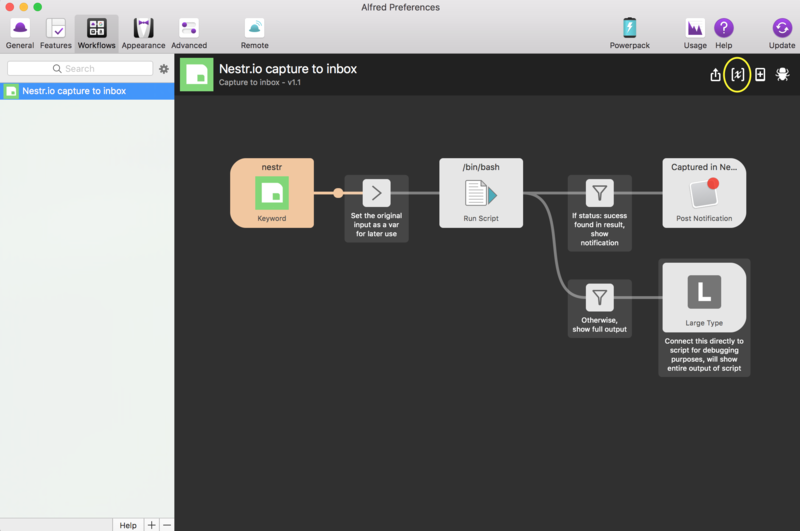 If you have a Powerpack license it also allows you to create your own workflows which allow the user to easily extend Alfred with their own functionality. We have created one of those workflows, which allows a user to quickly capture an item straight to his/her Nestr inbox. 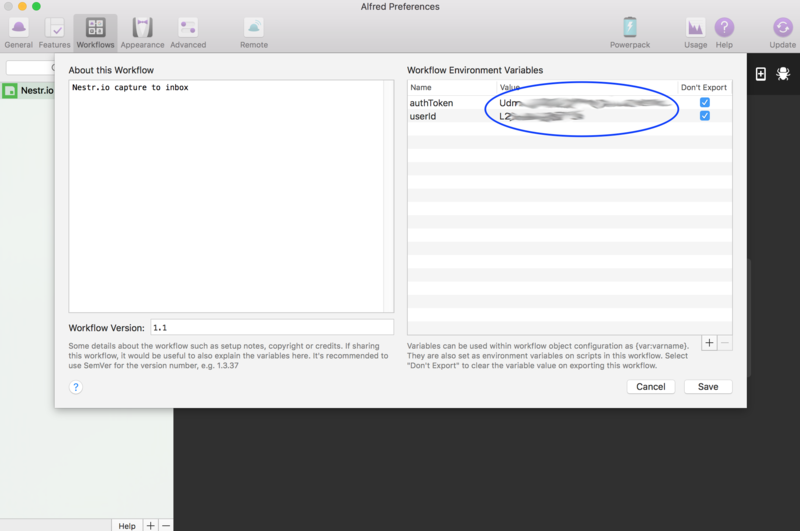 You will need to fill in both the authentication token and the user identifier values in Alfred. So copy both the values, or keep the page open. If you haven't done so already, now is the time to install the Nestr workflow for Alfred. You can do this by double clicking on the file, which will take you to the Alfred workflows preferences tab. To configure the authentication keys, you need to click on the [x] icon when the Nestr workflow is selected. Now you can fill in the correct values for the authToken and userId variables. Make sure to save the settings and you're all done. Now, to use the integration you just summon Alfred with your configured hotkey and start typing nestr something and press enter. If everything is configured correctly you will see a notification pop up that your item has been saved in Nestr in your inbox. Otherwise you will see an error screen with more details about the issue. This will most likely happen if the keys are incorrectly configured, for example if you didn't copy the entire API key.